I have made Tiramisu 3 times in the past and I just love it. Today I got the idea to make it grain-free and sugar-free and I am so glad I did. This is probably not a recipe for someone just starting out but if you feel adventurous I definitely recommend it. This shows you that once you get the “hang” of cooking grain-free and sugar-free, the possibilities are endless! You don’t have to deprive yourself of your favorite foods and treats. I hope this shows you how easy this lifestyle is to maintain. The lady fingers are great by themselves. I also use them in my Banana Pudding! Also, feel free to make them ahead of time. Just store in an airtight container until ready to use. Note: Use the best quality ingredients, especially when it comes to store-bought dairy, Never purchase low-fat or fat-free and avoid carrageenan as an additive. Makes about 20 Lady Fingers. Pre-heat oven 400 degrees F and place parchment paper on 2 cookie sheets. Divide eggs into 2 separate bowls. Beat egg whites until egg whites form stiff peaks. Set aside. In a separate bowl, beat yolks with 1/4 tsp stevia (or sweetener of choice). Beat until pale yellow (3-4 minutes). Mix in vanilla. Fold almond flour and baking powder into the bowl containing the creamed egg yolks. Carefully fold in the whipped egg whites to the yolk and flour mixture, making sure not to over-mix the batter. Taste for sweetness. Put the batter into a ziplock bag and snip of ½ from corner and pipe the batter into lady finger shapes, 4 inches long 1 inch wide (they don’t have to be perfect) but be sure to leave enough space between them as they expand during baking. 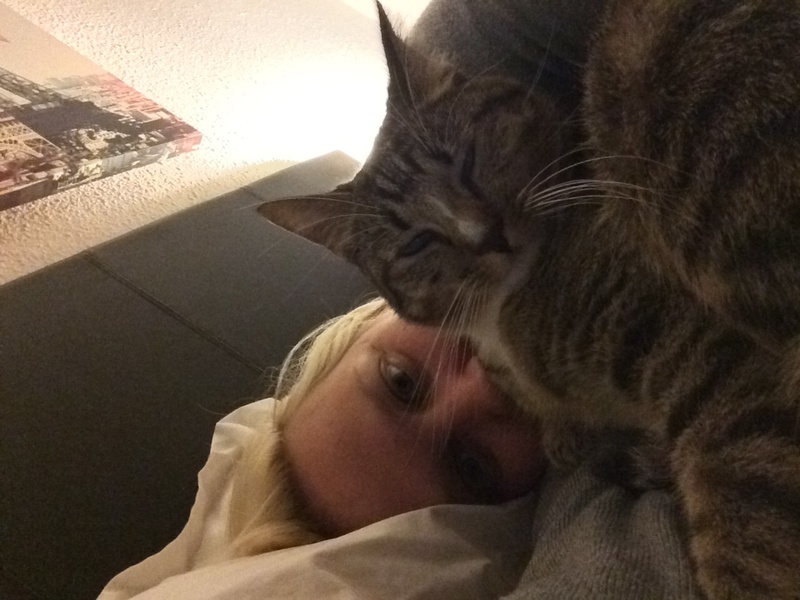 Bake for 10-12 minutes until they have a slight golden color (may vary by ovens). Remove from oven and while warm remove lady fingers (use thin spatula) and transfer to cooling rack. Mix and set aside and allow to cool. Beat egg yolks until fluffy and pale (about 2 minutes). Add Marsala wine and most of sweetener. Put in double boiler and whisk yolks till it thickens. Remove from heat and pour into another bowl to stop the cooking. Whip heavy cream. Taste for sweetness and adjust if necessary. Set a side. Beat cream cheese with cooled Zabaglione sauce (egg yolk and Marsala wine mixture). Fold the whipped cream into the zabaglione cheese cream until smooth. Layer the lady fingers into your dish. I placed them upside down so they would absorb more. I did 3 layers of 6 fingers. You can either dip the lady finger in the coffee mixture or spoon 1 tsp of mixture on each cookie. Add 1/3 of zabaglione filling. Spread over cookies. Dust with cocoa powder. Repeat 2 more times. Refrigerate for at least 3-4 hours or overnight. Serve cold. *Nutritional information obtained using THIS site. 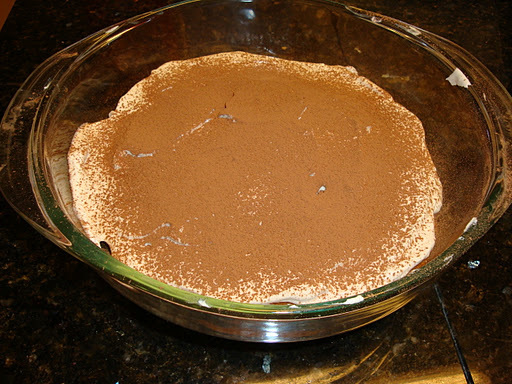 I just made Tiramisu tonight substituting Truvia for sugar when it occurred to me that I could use almond flour for the lady fingers. I googled for the recipe and voila! I found your recipe- I can't wait to try your recipe for almond flour lady fingers the next time I make it.Thank you so much! My first dessert recipe I posted on the blog over 18 months ago is still my favorite! You MUST try this decadent dessert! 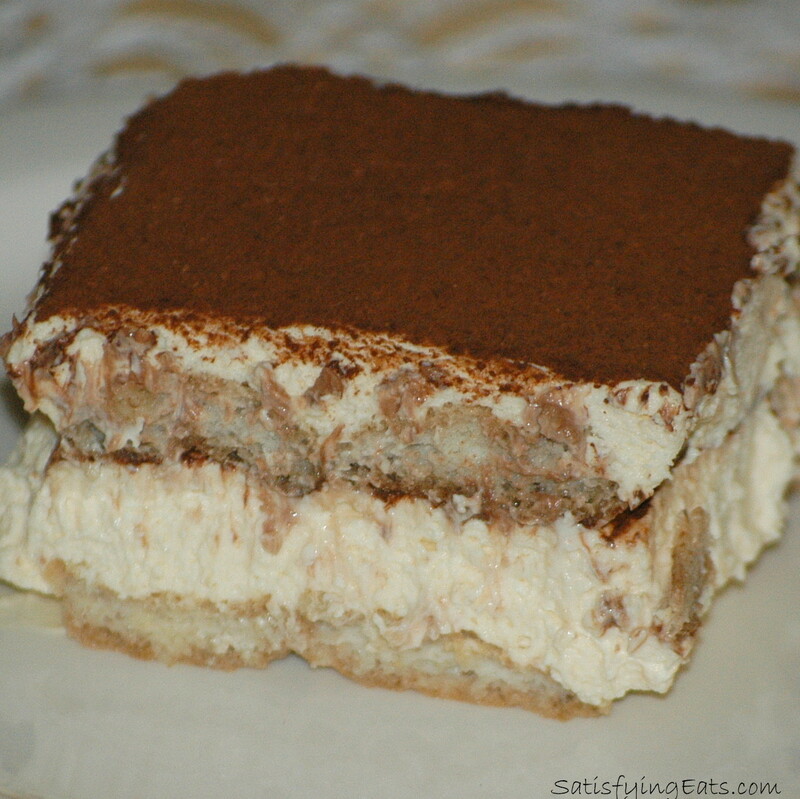 Wondering why you don’t use mascarpone cheese in the recipe, which is classic for Tiramisu. Is it for health reasons, or because it can be hard to find? Cappy, good question. Mainly because it is hard to find and EXPENSIVE when you do. Using the cream cheese is just as good (I have made it with both). I couldn’t really tell the difference! If you have it and want to use it, go for it! Hope you enjoy the recipe! I looked at the site after you posted last. You’ll have to tell me what to do! I wonder if you could make extra lady fingers and freeze them for later… has anyone tried this before? Melissa, that should work. I have found that all of my recipes freeze well. I like these all by themselves! Has anyone made a dairy free version of this ? Could you use coconut flour instead of almond flour in the lady fingers? I really do not like the taste of almonds. What can be used instead of the wine? Can I just leave it out? You can leave it out but it is traditional to use it. I don’t have KAL stevia or any powdered Stevia, but I have stevia liquid glycerite, Swerve (erythritol), and Just Like Sugar. I Love your recipes, but I’m too afraid I’ll mess them up bc I have no idea how to convert the KAL stevia measurements to something I have. Any ideas or common measurements. I think someone once told me that 1 tsp of stevia glycerite is about 1/4 cup of sugar but I don’t know about KAL powder. Thanks SO much! Suzanne, honestly, I know people that have used about every sweetener imaginable, even just sugar. The key is to taste the batter. Whatever sweetener you use, just add a little and see how sweet it makes it. It will take you a couple of recipes to determine a rough conversion. Don’t be scared… this is a GREAT recipe and has fooled many people! I know this is not an exact answer but I hope it helps! Thank you! I know, I’m going to give it a try bc I’ve got so many recipes that call for the KAL stevia that I want to convert. (I just don’t like that it’s made in china…) As far as conversions I’m going to go with my rough conversion and I think one of those tiny scoops equals about 3 tsp of sugar, so 3 tsp of swerve is what I’ll start with. I know where my eggs come from, but I’m still not wild about tasting the ladyfinger batter 😉 I’m making your lady fingers but using my old tiramisu recipe I’m famous for. I’ll let you know how it turns out! I hadn’t made it bc I didn’t have a good grain free sub for lady fingers till now! The filling is quite easy to make low carb though! Here I go! 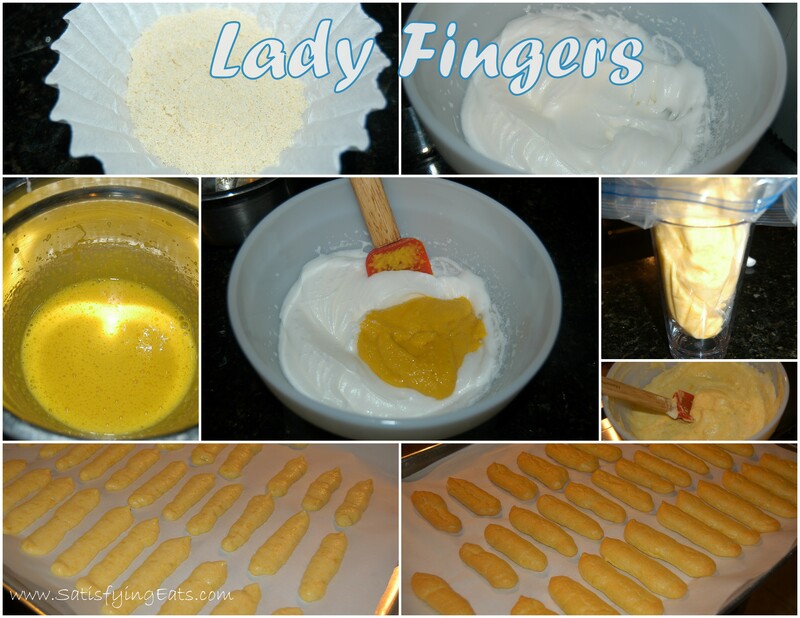 Made the lady fingers and they are delicious and so super cute! I doubled the recipe, got 55 fingers, and I used 3 tablespoons Swerve (erythritol powedered) and about 6 drops of vanilla cream stevia! Turned out great. Thanks for your great recipe! I made this last night. Didn’t use any wine and used granulated splenda as my sweetener of choice. Turned out great! Thanks for the great recipe!! #2 NEVERMIND! Doing my “just skim over the recipe” act. Sorry. I totally missed them at the very top…….wonderful carb count! If it has wine in it, it’s not sugar free? Rose, there is no added sugar to wine. 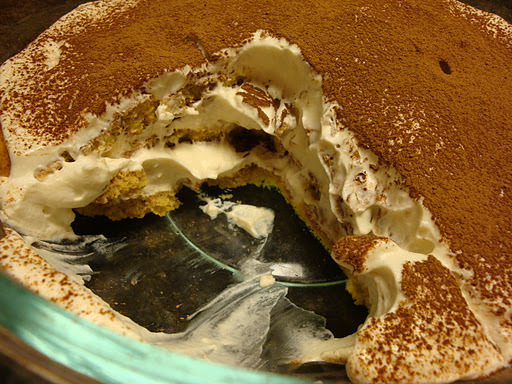 You can omit it if you like but you really need it for the true flavor of tiramisu. I hope you enjoy the recipe. Oh thank goodness I found this. My son in law who is an Italian by birth has developed some food sensitivities. No grains. He can have cheese, but only goat. Do you know if goat cheese will work with this recipe? Gerry, I don’t see why you couldn’t use a goat milk based cheese. Let me know how it turns out! I tried this recipe exactly as written. They came out flat like pancakes and burned after 10 minutes @ 400 degrees. A huge waste of time and money. I will not try again, and I do not recommend this recipe. Really disappointing. Hi Jason, I hate your lady fingers burned. 🙁 As stated in the recipe, oven times will vary. Agreed, no one likes wasted ingredients but this really is a great recipe made many times with great success. Better luck next time.